Begin April a big partner from the team has withdrawn. To finish this season we and our girls need your help! The financial gap that we try to fill is €50.000. With that amount of money we can assure all the girls on the team the race program we promised them when they signed their contract for this season! Team Hitec products, an UCI woman’s team which is competing at the highest level of woman’s cycling. For years we have been racing all over the world but now our future is in danger! Unfortunately a big partner made the decision to immediately stop the funding from the team. Since our girls are doing so well this season we want to give them the best race program. The upcoming 4 months off this season are filled with races we have to cancel if we don’t get any financial help. 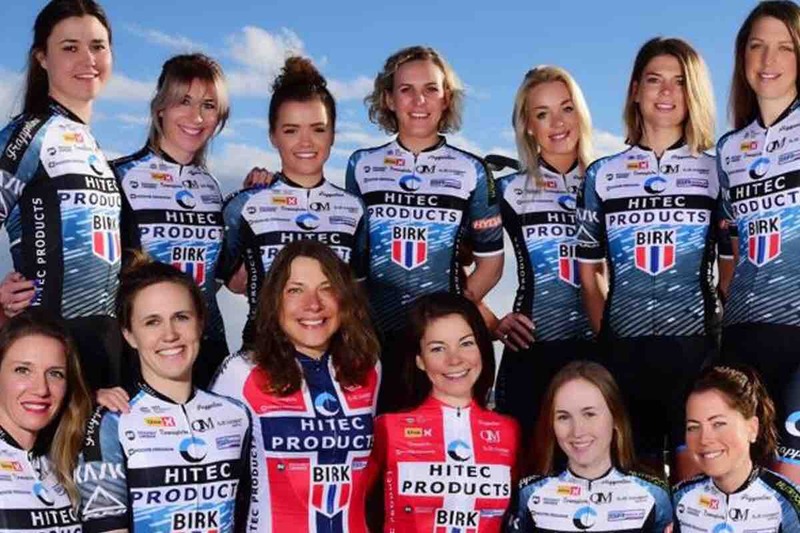 Do you want to help Team Hitec Products - Birk Sport? Hi everybody. Thank you all for your donation but we have to find some more donations, it would be very nice if u all want to share our crowdfunding on social media with your friends! Fitst off al, we want to thank everyone who already backed us with a donation. We almost have hit the 10% mark of our donation goal. The whole team would appreciate it if everyone wants to share our crowdfunding on there social media with their friends.